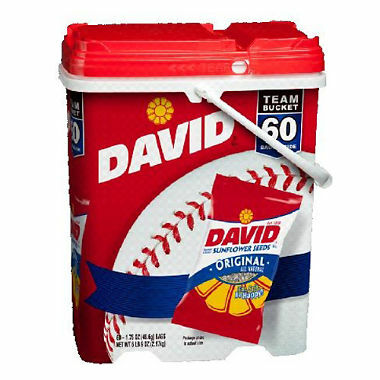 However, success in baseball along with Nielsen ratings isn’t based on superstitions or gimmicks. Sunflowers offer a couple of meaningful takeaways, which radio can benefit from. Sunflowers start the day facing east and as the sun progresses across the sky, the face of the flower follows along, resetting itself each night back to the east. In a similar way, winning stations follow their core, employed listeners and map the customer journey, understanding the unique opportunities that exist throughout the day, whether it’s winning a tune-in or other types of brand engagement. Heavy listening P1s tune-in on average 31 times per week, not to a single station, but to radio overall. How many you win depends on your strategy both on-air and off. Considerable time and effort is spent on the on-air product, minimizing tune-out and growing TSL. Rightfully so. It’s equally important to generate top of mind awareness off-air, when your core listeners are away from the radio. After all, listeners can’t tune-out if they never tune-in. With repeat and varied touch points, focused on the life of the listener, you can drive in-car and at work tune-ins, while also keeping your station top of mind during the other parts of their day when they are away from the radio. This approach maximizes brand loyalty and mindshare, so you win their next listening occasion. Mapping the customer journey for advertisers is also critically important, especially as it relates to radio’s unrivaled ability to deliver targeted messages to employed consumers with money to spend. However, the real magic of sunflowers is found below the surface in their root system. Each sunflower has a deep and extensive root system that goes well below the surface. In a similar way, winning stations match a strong signal with a deep and extensive set of roots in the community. Being entrenched in your local market is a key point of differentiation for stations that win the ratings and revenue battle. The ability to have roots not only in your current HOT Zips, but also in neighborhoods where measurement will occur down the road, helps set winning brands apart. For more information on mapping the customer journey of your employed listeners and building deep roots with those who matter most, contact win@dmrinteractive.com. On behalf of Catherine Jung, Doug Smith and everyone here at DMR/Interactive, thanks for your work to drive radio forward. Just a year and a half later, the tech and retail giant rebranded their advertising business into the intuitively named, Amazon Advertising. The initiative reflects the platform’s rapid growth and maturation from being lumped into the company’s “Other revenue” category last year to being on pace to generate over $8 billion this year. As radio ambitiously rolls out skills to drive at-home tune-ins, Amazon prepares to launch voice assisted ads on Alexa. Like Facebook before it, Amazon would likely have hockey stick revenue growth with or without millions of dollars in free promotional inventory from radio encouraging listeners to check out the platform. 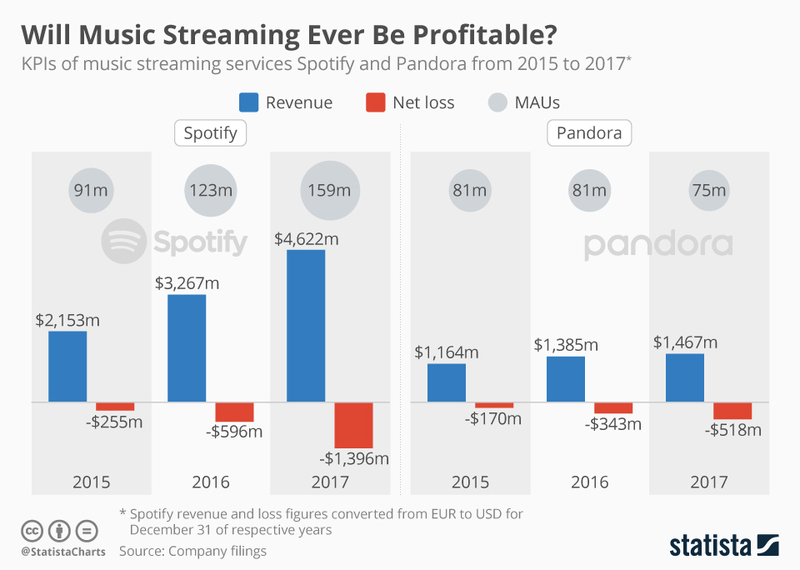 However, there appears to be a disconnect between the valuable on-air inventory being given to promote smart speakers and a clear monetization strategy for radio. In the meantime, Amazon’s advertising strategy continues to accelerate. Within radio, there’s near universal agreement that spot loads are too high. Yet we run promotional inventory that highlights another rapidly emerging advertising platform that by 2020 will likely be larger than the entire radio industry, while we struggle to promote our core on-air product that drives over 90% of AM/FM’s revenue. Adding insult to injury, we’re not reaching digital natives with a smart speaker, streaming message. Instead, we are taking that message directly to our employed, core listeners who seek us out and continue to listen on actual radios, essentially undermining our own self interest. Perhaps this valuable on-air inventory could be repurposed to reinforce and promote on-air listening, while mixing in an occasional smart speaker promo, using a ratio that reflects the amount of listening that we would reasonably expect the devices to contribute 12 months from now. Meanwhile, spending time off-air, crafting a compelling value proposition for your employed listeners, which will keep your station top of mind on voice activated devices and in the car along with a corresponding monetization strategy is certainly time well spent. Until then, we are playing checkers, while Jeff Bezos plays chess. According to the National Science Foundation, the average person has up to 60,000 thoughts per day. Of those, 80% are negative and 95% are exactly the same repetitive thoughts as the day before. Self-doubt, critiques, negativity up to 50,000 times per day. Of those, 45,000 will be back again tomorrow. Research continues to show that social media platforms can increase anxiety/stress/depression and for some, phones are becoming an addiction. Despite the ubiquity of smartphones, Nielsen’s latest Total Audience Report states, AM/FM radio maintains an advantage of 13.5 to 1 over smartphone streaming in weekly TSL. Even for true believers, it’s an astonishing level of dominance in 2018. In the midst of this tidal wave of negativity, along comes radio. Our heaviest users tune-in 31 times per week as we offer an enjoyable alternative to the thoughts bouncing around their heads. Yet with smartphone adoption now exceeding 90% among P18-49, it’s important that we explore ways to transcend the transmitter. As an industry, smart bets are being made about the future distribution and consumption of audio programming, even while a profitable business model and significant consumption remain illusive on streaming and mobile platforms. Along those lines, best selling author Ben Hardy offers some advice for the road ahead. HD Radio, Podcasting and Streaming represent some of the high profile innovations championed by broadcasters. Although none have hit an economic tipping point, it’s important we are prolific in our innovation efforts without sacrificing time and resources for the AM/FM mothership. In order for a redwood sapling to make it, it has to become one of the tallest trees on the planet. No small feat, but it happens again and again. In a similar way, radio is up for the challenge of strengthening our dominant audio position as the mobile world continues to grow. The bigger the challenge, the bigger the opportunity to rise up and meet it. With AM/FM radio audience driven by employed persons, the opportunity for Artificial Intelligence to create an explosion of jobs is of great interest. In fact, there are several noteworthy insights from his column, Why AI Will Bring an Explosion of New Jobs that challenges current headlines, which focus exclusively on the elimination of jobs due to automation. With business leaders from Richard Branson to Bill Gates calling for Robot Taxes to support workers displaced by technology, it can appear that Universal Income can’t be far behind. However, there are increasing calls to pump the brakes on the death of the American worker. Fundamentally, this is great news for radio. When people get up and go to work, they are heavy users of AM/FM radio. When they leave the workforce, they become heavy viewers of television. In the near term, Fast Company believes that in less than a decade, half of U.S. workers will be freelance and cities are woefully behind in making themselves relevant to this workforce of tomorrow. With more than 80% of AM/FM listening being done by employed persons and 75% of listening taking place out of home, the emergence of smart speakers, which are adept at on-demand, personalized consumption, won’t magically return radio listening to the kitchen. However, the real opportunity with these devices and their associated skills might instead be to reach people working from home and generate new listening occasions from heavy users. In addition, creating habitual usage of voice command prompts, which will be increasingly important during driverless commutes, would be another smart investment that pays dividends down the road. In the meantime, this dual smart speaker approach compliments your existing strategy of driving ratings and revenue with over the air listening by employed persons. Further, if your city doesn’t already have a strategy to attract and recruit talent, including a strong start-up ecosystem, it’s in the direct interest of your station to get involved in conversations around future workforce development and job creation. After all, not much radio is consumed by people out of work. Radio’s Glass: Half Empty, Half Full or Overflowing? For every 10 minutes of audio consumed by Americans today, more than 9 minutes goes to AM/FM radio. In a fragmented, mobile world, this is the definition of market share dominance. And the story keeps getting better. 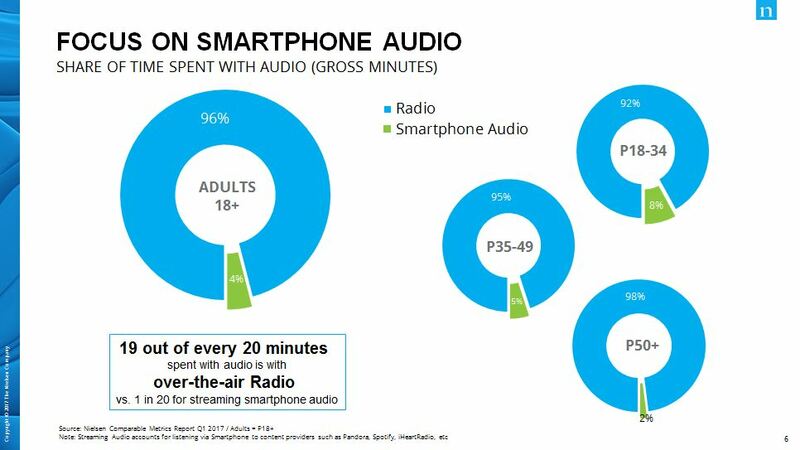 AM/FM radio generates 720 BILLION more minutes of listening per month among P18+ than smart phone streaming audio, including the pure-plays. On an annualized basis, that’s an advantage of 9.3 TRILLION minutes per year (The Nielsen Comparable Metrics Report, Q2 2017). 720,000,000,000 per month/9,300,000,000,000 per year. All those commas and zeros represent a jaw dropping advantage. Politicians talk about billions and trillions as if they are interchangeable, so it can be difficult to truly appreciate the magnitude of AM/FM’s dominance. 720 billion minutes = 1,369,440 years. One trillion minutes = 1,902,587 years. 9.3 trillion minutes = 17,694,063 years. 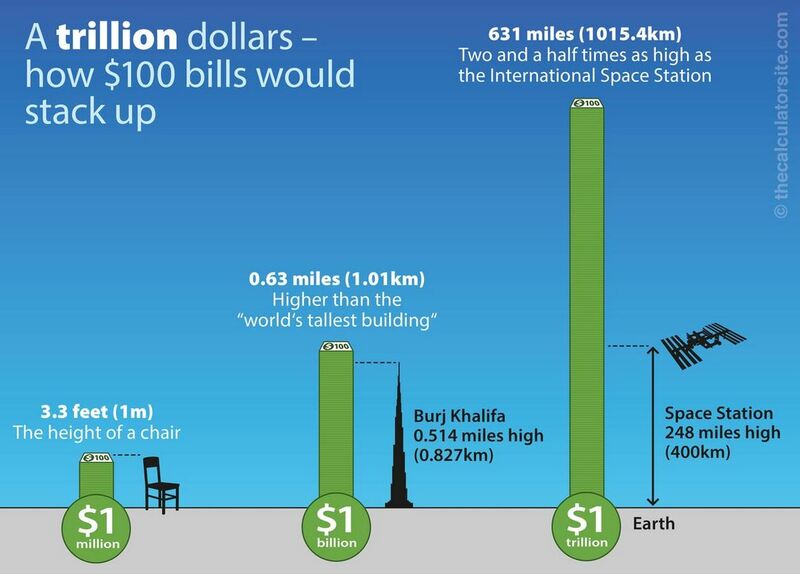 To put it in the context of dollars and cents, a million dollars is the height of a chair, a billion dollars is the height of the tallest building on Earth and a trillion dollars goes 600 miles into outer space. In addition, 85% of listening to AM/FM Radio is done by people with a job, which means they have money to spend with our advertisers. There are a lot of exceptional organizations advocating on radio’s behalf: NAB, RAB, Nielsen, Numeris, Katz Media, NextRadio, Radio Connects, state broadcasting associations, local market consortiums as well as network syndicators and broadcast ownership groups. Yet, with all those groups telling our story, who’s the most important advocate for AM/FM radio? YOU. Light a candle, rather than curse the darkness. Further evidence? Look at the dominance of AM/FM radio in the Infinite Dial 2018 Report from Edison Research. For many digital companies and platforms, it’s “fake it until you make it.” Not AM/FM radio, we’ve got the data and a passionate community of local listeners on our side. Not to mention profitability. If there’s something “wrong” with radio, it’s how we see ourselves and allow others to perceive us. The mobile and digital revolution is 25 years old and AM/FM remains the top reach medium at 93%. Our audio dominance and employed audience provide an enormous competitive advantage. In fact, as people grow into their careers and make more money along the way, their AM/FM listening continues to increase. 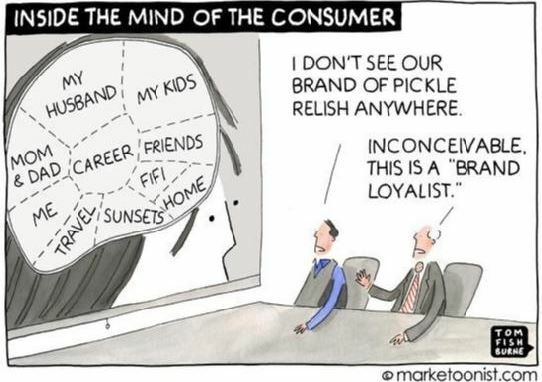 Music to the ears of our advertisers. AM/FM is the 800# gorilla of audio and truly a brilliant, ad supported business model that allows the audience to access their favorite stations and content without a subscription. Let’s celebrate what’s right with AM/FM radio. On behalf of Catherine Jung, Doug Smith and everyone here at DMR/Interactive, thanks for driving radio forward.